This range of drills is specifically designed to meet the challenges of a broad spectrum of difficult drilling applications. Available in Fractional and Metric, sizes in Stub, Jobber, Long Series and Extra Length. 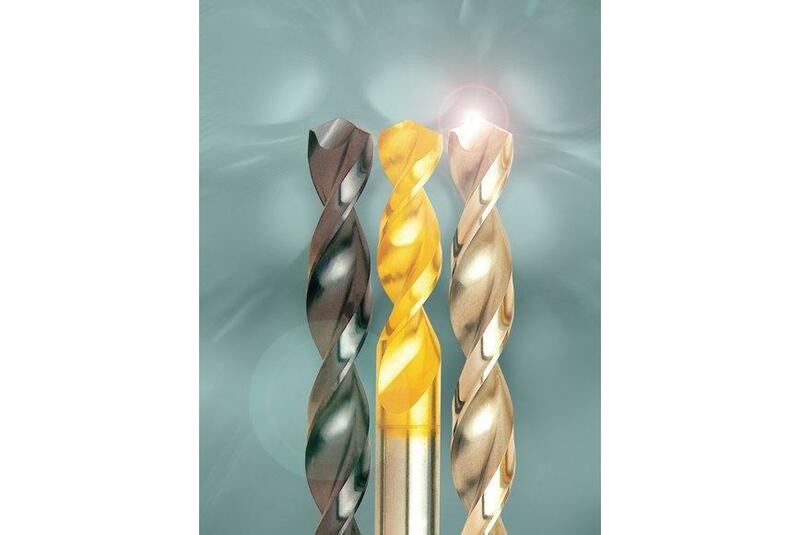 - Coatings - these drills can be supplied with either TiN, TiCN or TiAlN coatings to further enhance their performance. UDL - Designed for LONG CHIP FORMING MATERIALS, such as Aluminium, Copper and Stainless Steels, with special UX Notch point or Split point. UDS - Designed for SHORT CHIP FORMING MATERIALS, such as Titanium and Nickel Chrome Alloys, with special UX Notch point or Split point. Flutes - Wide, polished, “PARABOLIC FORM” flutes with 40° helix on UDL and 33° helix on UDS drills provide fast chip removal and reduced heat generation at the point. The increased web thickness allows increased feed rates. Materials - Manufactured from HSS-Co (5% Cobalt) to ensure increased wear and heat resistance during drilling operations. Hole depth - Hole depths greater than 5 times diameter with the uncoated drill (conventional drill 3 times diameter). Hole depths up to 15 times diameter with coated drills, with proportionally reduced feed rates. UX NOTCHED POINT – TO DIN 1412 FORM D - The 130° special notched “UX” point style provides self centering, easier penetration, improved hole accuracy and improved load distribution. This special notch geometry gives a corrected rake angle of 15° which provides a strong point for harder materials, as well as preventing snatching with materials such as Aluminium, Brass, Bronze and Plastics. Available on UDL and UDS drills from 1/8″ (3mm) to 1/2″ (13mm) diameter. SPLIT POINT – TO DIN 1412 FORM C - The 130° SPLIT POINT is a conventional point providing self centering and easier penetration. Available on UDL and UDS drills from 1mm to 13mm diameter.